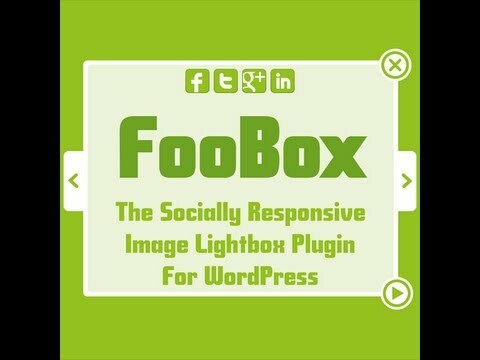 This WordPress Lightbox Plugin can be used for images, video, inline HTML, and iFrames. Below are just a few examples of how you can use FooBox. You can also open videos from YouTube and Vimeo inside of a FooBox lightbox. You can open various forms in FooBox. Here’s an example using Gravity Forms, where we’ve enable our Contact Us form to open in FooBox. Open a Gravity Form by using the Inline HTML Content feature. Inline HTML really opens FooBox up for unlimited possibilities. You can put opt-in forms in there, complex tables, simple messages. The sky is the limit. Or you can open iFrame content inside a FooBox. Click the link below to open Fooplugins.com inside a FooBox. Open your media galleries in FooBox. You can open WordPress, Jetpack, Envira and NextGen galleries in FooBox, to name a few. You can also now open FooGallery PRO galleries in FooBox, as you can see in the example below. You can find more detailed info and instructions in our FooBox documentation. You can find code snippets, more advanced information and other useful tips in our supporting documents.